A range of cultural and arts activities and colourful firework displays were staged across the country as lunar New Year 2019 turned at midnight of February 4, the last day of the 2018 lunar year. In his New Year greetings to all Vietnamese in and outside the country for the occasion of the Lunar New Year 2019, General Secretary of the Communist Party of Vietnam Central Committee and State President Nguyen Phu Trong wished them a new year of peace, friendship, happiness, and prosperity. Tet festival has also been celebrated by Overseas Vietnamese communities around the world. 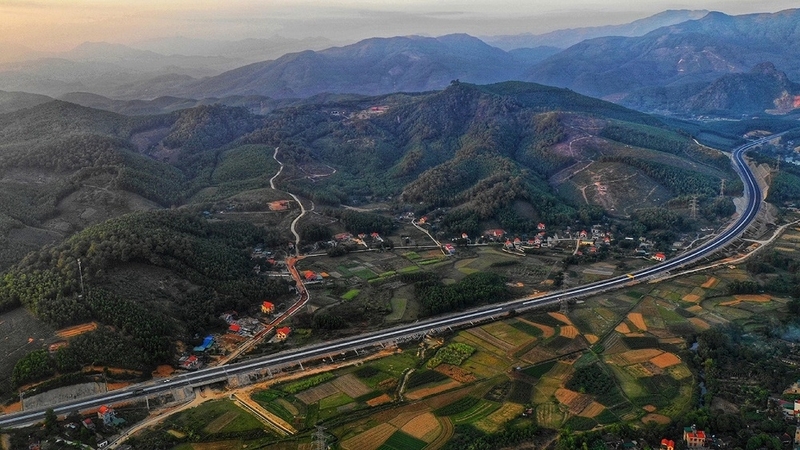 The Ha Long-Van Don Expressway, in the northern province of Quang Ninh, opened to traffic on February1. This is expected to shorten the travel time between Hanoi and Van Don Airport to two and a half hours. The 60-kilometre expressway runs from one end of the Ha Long-Hai Phong expressway to the recently opened Van Don Airport. It was built at a total cost of VND12 trillion (US$516 million), featuring 4 lanes, with a width of 25 metres, allowing speeds of up to 100 kilometres per hour. It is expected to boost the socio-economic development of Quang Ninh province and the northern key economic region. Prime Minister Nguyen Xuan Phuc has approved a plan to implement the Comprehensive and Progressive Agreement for Trans-Pacific Partnership (CPTPP), in which he asked for accelerating the dissemination of information about the CPTPP and participating countries among the public. The PM requested that focus be placed on training officials from State management agencies in fields related to commitments under the CPTPP so that they clearly and precisely understand the specific content in order to implement the deal fully and effectively. Vietnamese beauty queen H’Hen Nie has been named Timeless Beauty 2018 by leading beauty pageant website Missosology.org. With a final score of 4.576, H’Hen Nie was the first Vietnamese and third Asian to win the title. The 25-year-old model of the Ede ethnic minority group in the Central Highlands province of Dak Lak was crowned Miss Universe Vietnam 2017. She also finished in the top five of Miss Universe 2018, Vietnam’s best ever performance at the event. Another Vietnamese model, Nguyen Phuong Khanh, who was Miss Earth 2018, also finished among the top ten of the Timeless Beauty 2018 finalists. The Vietnam National University, Hanoi, (VNU) has remained as the top higher education institution in Vietnam with a world rating of 1090 in the “Webometrics Ranking of World Universities”, announced by the Cybermetrics Lab, a research group of the Spanish National Research Council (CSIC), on February 1. Accordingly, the VNU leapt up 216 places when compared to its 1306th ranking in the previous Webometrics announcement in August 2018. As a result of the global promotion, the ratings of the VNU in the region have also improved significantly, climbing six spots to 19th in the Southeast Asian region and increasing by 90 notches to 261st in Asia. 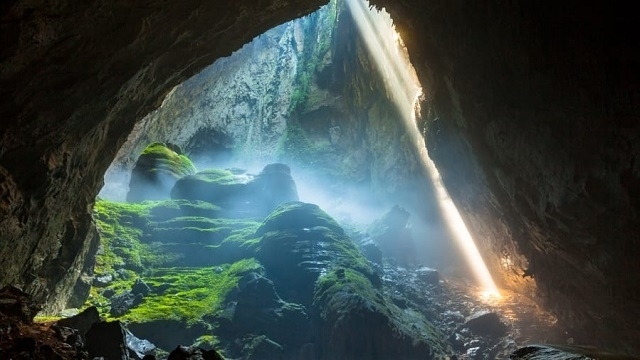 Son Doong, the world’s largest known cave, located in Vietnam’s central province of Quang Binh, has been ranked third among the worldwide bucket-list trips for 2019 by Lonely Planet, a prestigious travel guide magazine. “The incredible depths of the world’s largest cave lures in travellers who seek true adventure. But the arduous journey into this subterranean site makes booking a trek essential,” according to the magazine. “The major tour operator that takes travellers inside, Oxalis Adventure Tours, says on its website that less than 300 spaces remain for 2019 tours. If you want to make it happen, book soon – or get on the waiting list for 2020,” it said. The number of foreign visitors travelling to Vietnam in the first month of 2019 is estimated to reach over 1.5 million, a year-on-year increase of 5%, according to the General Statistics Office. Accordingly, arrivals by air and sea increased by 1.4% and 26.9%, respectively, compared to the same period last year, while those arriving by land have decreased 30.5%. The tourism sector is expected to receive 18 million foreign visitors and serve 85 million domestic tourists in 2019, earning total revenue of over VND700 trillion.